About two years ago, I did some personal research around finding a good sunscreen that would suit my skin type and complexion. I have tried quite a few sunscreens but many of them let me down. However, I was able to draw up some criteria for suitable sunscreens. 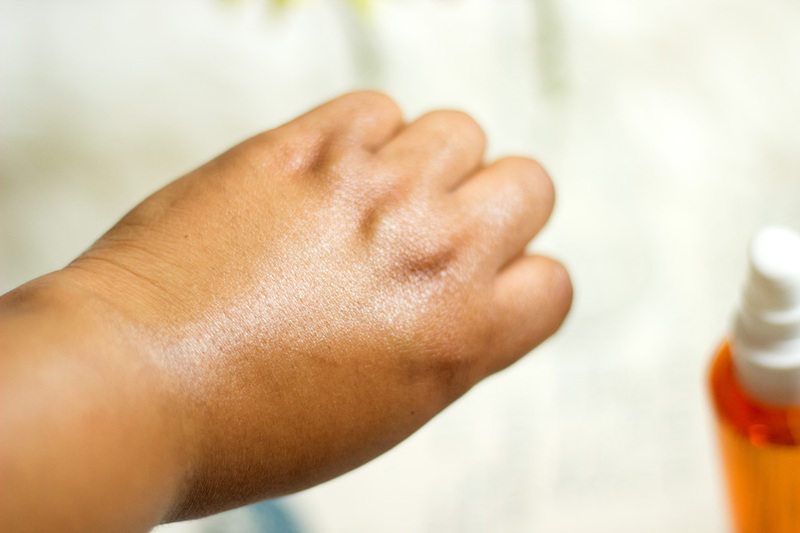 I always opt for a formula that is non-greasy, no white or blue cast, non-sticky and one that disappears under my skin. 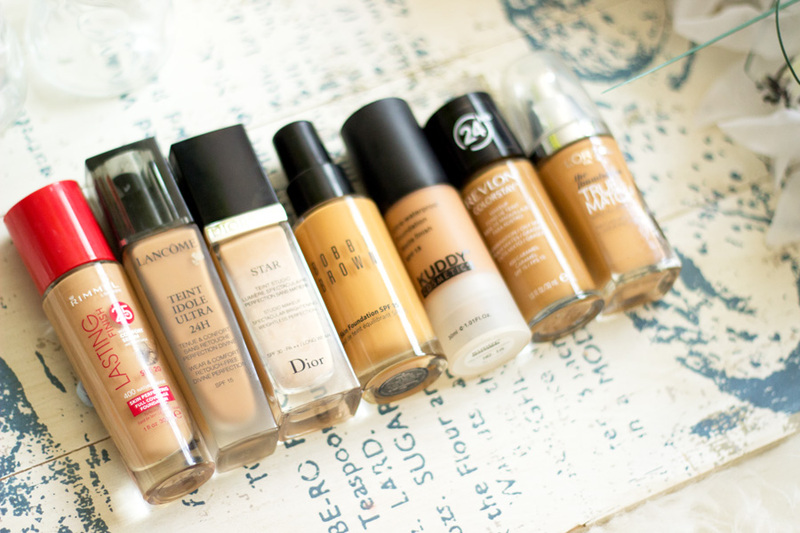 I also want a formula that does not dry out my skin making it almost impossible to wear makeup underneath the sunscreen. 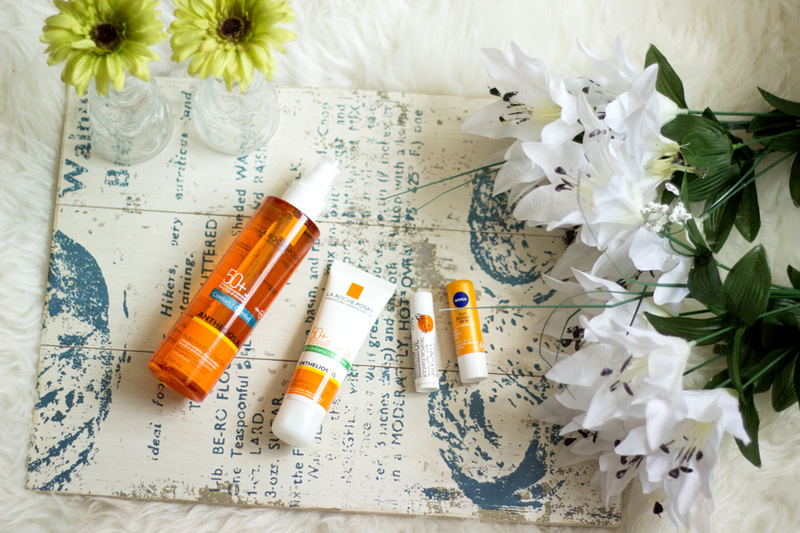 Most importantly, I look for sunscreens that offer a broad spectrum of protection i.e. they protect the skin from UVA/UVB rays. 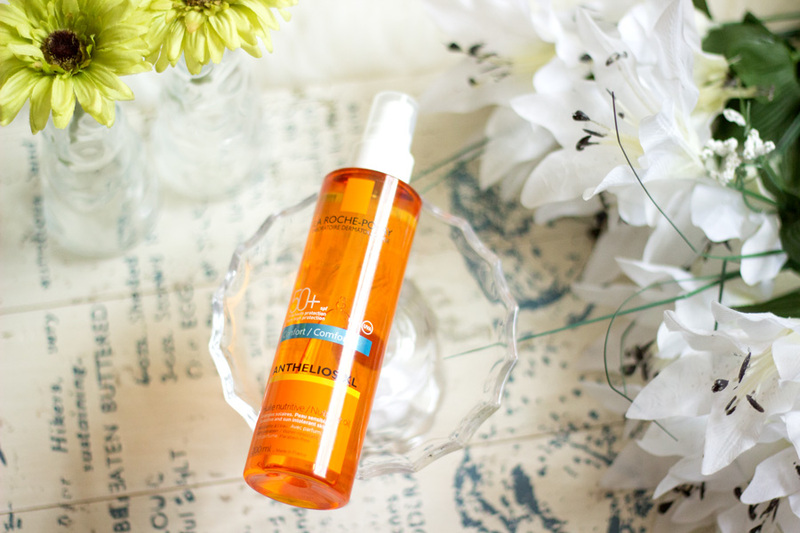 I have found only few sunscreens who meet these criteria and one of them is my favourite from La Roche Posay- Anthelios XL Dry Touch Gel Cream SPF 50* (review here). 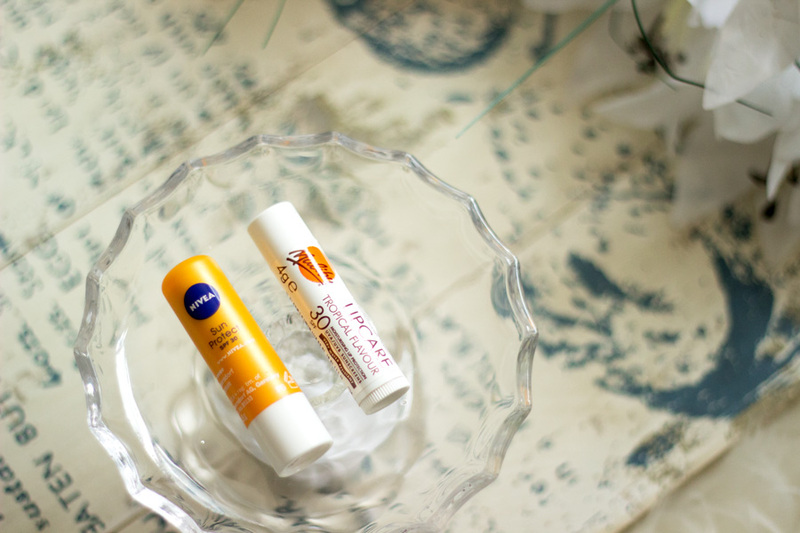 I am obsessed with this sunscreen and I have bought quite a few tubes over the past two years especially when Boots or Escentual have discounts on French Skincare brands or Sunscreens. I have also been lucky to receive additional tubes from the lovely La Roche Posay PR team who read my review and got in touch with me. 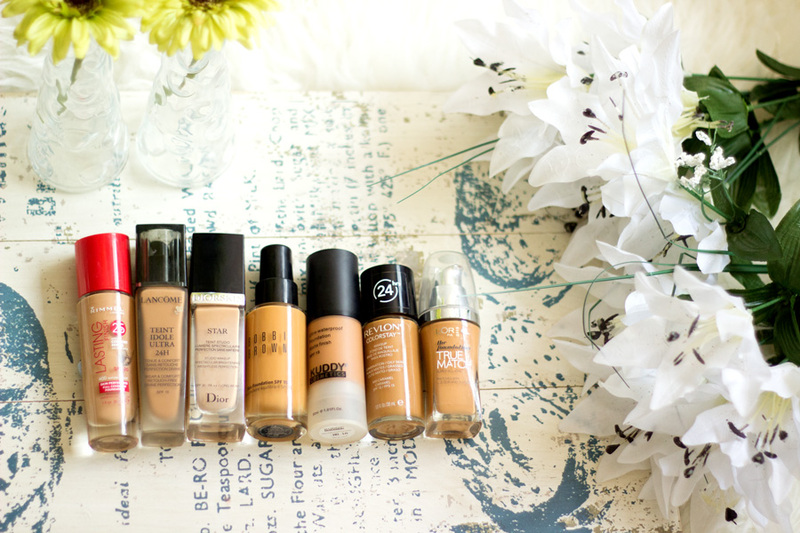 I always opt for SPF 50 because I feel that is the best for my skin. I heard there is not much difference between SPF 30 and 50. Apparently, SPF 30 protects your skin up to 95-97% while SPF 50 protects your skin up to 98%. Who knew?!! 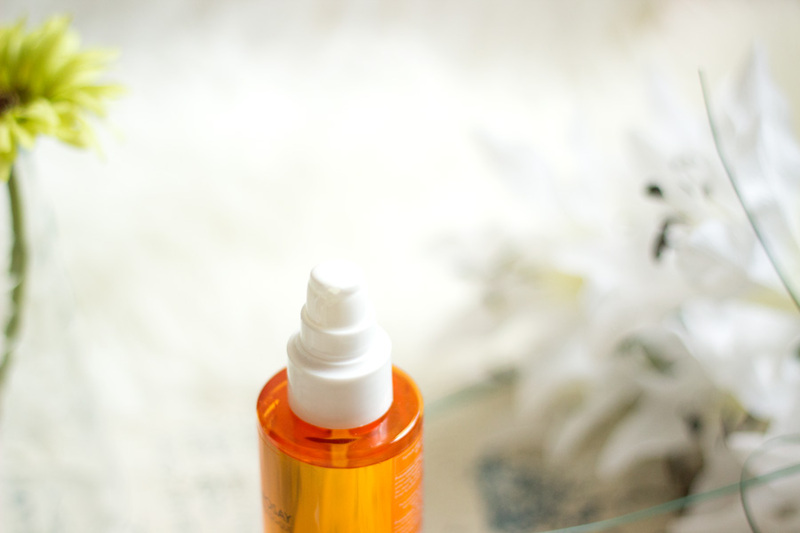 Anyway, today I am talking about some of the products I have been using to protect my skin from any sun damage this Summer. I always wear sunscreen all year round but I take extra precautions during Spring/Summer or when I am going away to a tropical climate. 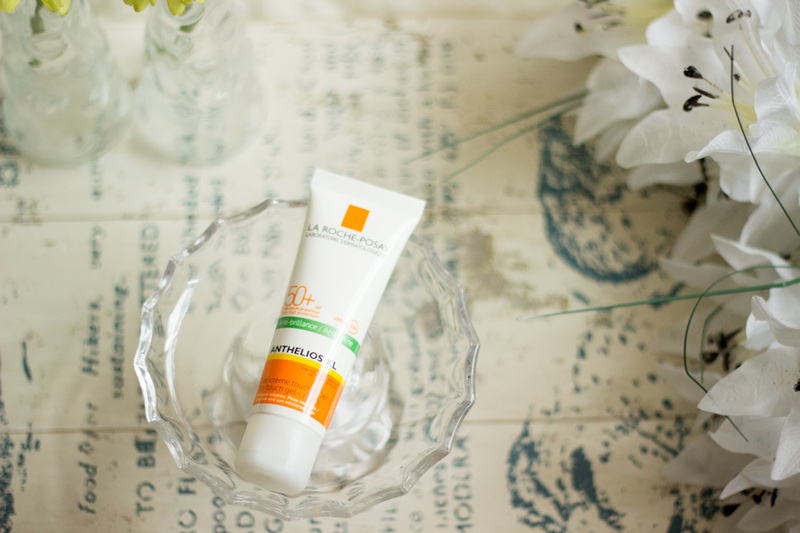 The Anthelios XL Sunscreen* (link here) is currently on offer in Boots so this is a good time to stock up. 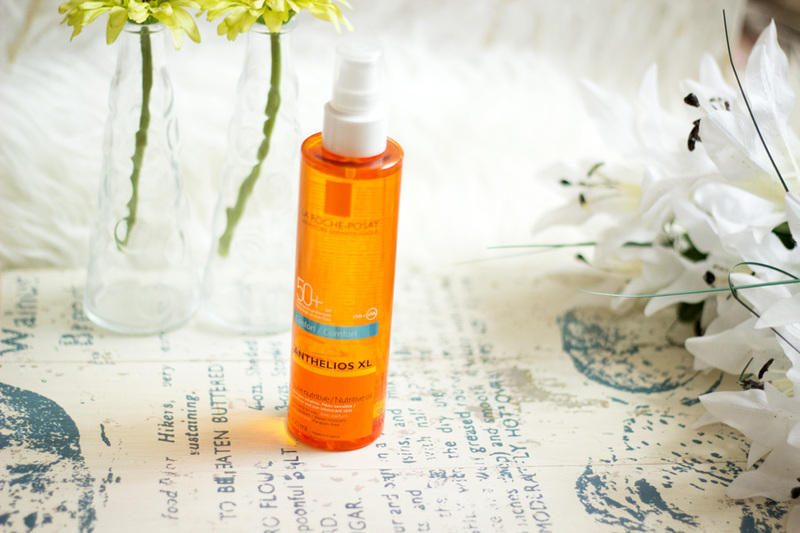 It is one of the few sunscreens that I really like because it has an amazing formula. The one I use is the dry touch gel cream which makes it suitable for my combination oily skin and it does not leave any greasy feeling at all. The best part is I don’t have any blue or white cast after I use it which means I can wear it on days without makeup or under my makeup. It’s an absolute staple in my skin care. 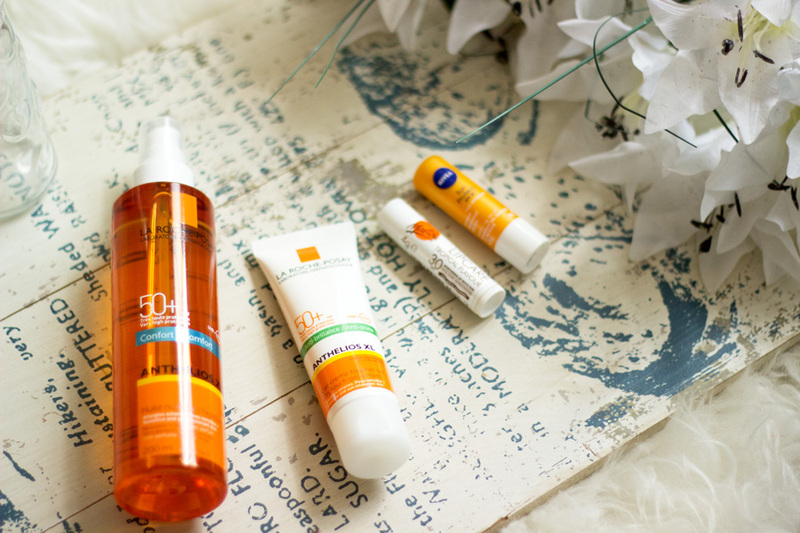 There are other amazing sunscreens from this range including the Anthelios XL Sunscreen SPF 50 Comfort which is suitable for anyone with dry skin. One benefit of using sunscreen is an improvement in my dark blemishes. Without sunscreen, my dark blemishes tend to get darker when they are exposed to the sun especially when I use products with Vitamin C, Salicylic Acid or Glycolic Acid in them. This is because these active ingredients in many acne skin care products make the skin photosensitive i.e. sensitive to the sun hence the blemishes get darker. It is always advisable to use sunscreens all through the year but most especially if you are using any acne treatment. I won't lie to you; I have never been one to use sunscreen for my body before now. This is mainly because majority of my body is always well covered with clothing. However, I find that during summer I tend to show more skin because it is way too hot for anything else. I have a noticeable tan around my décolletage thanks to all the V-necks and crew tops I wear. However, I don't mind at all because it is such a lovely golden bronze colour that looks beautiful and glowing. What I am concerned about was getting any sun burn or age spots due to over exposure. I was contemplating trying out a sun screen for my body but the ones I have tried were just way too greasy and sticky for my liking. I was delighted to receive the La Roche Posay Anthelios XL Nutritive Oil *(SPF 50) (link here). I was a little sceptical about using any oils on my body because I thought it may be too sticky for the warm weather. However, my fears were allayed when I tried it. 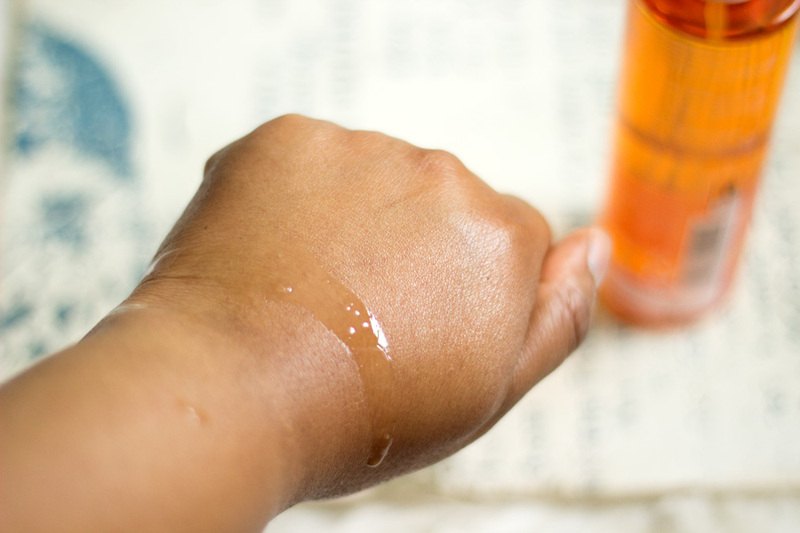 Although it is an oil, it is one that has a dry finish so it is not sitting in a greasy manner on top of the skin. It has a really light texture but it still feels moisturising and sinks into the skin really easily. There is no aftermath greasy feeling at all instead it gives a really nice glow to the skin. It is also water-resistant so if you happen to be on holiday and splashing about in the pool, this is one to try out. I have not tested it out yet in a pool but I will let you know when I do to see how it held up. I have used it on my hands, legs and décolletage and I love the way it feels on my skin. It has a slight fragrance which I really like because I love fragrances in general. However, if your skin reacts to fragrances or you hate them, you may not like this (although it is very subtle). It comes in a lovely bottle complete with a spray nozzle. It does not spray out as a mist per say. You can either spray it directly (carefully) on your body or spray some in your palms and apply where you need it. I prefer the latter because it prevents any excess spillage and applies better for me. I have really enjoyed using it these past weeks. I don’t use it every day because I am trying to get myself into using sunscreen for my body. However, I always remember during the weekend when I put in extra effort in my dressing, skincare and makeup. I recently attended a Road Show organised by the British Association of Dermatologist (BAD) and sponsored by La Roche Posay (see pictures here) where they talked about sun care. I got my photo taken with a UV camera which highlighted areas of sun damage on my face and the Dermatologist also explained what the picture meant. I had very minimal sun damage as a result of my genes (Dark skinned people have more melanin) and I had also been using sunscreen consistently for almost two years. However, there were some areas which had some sun damage- my lips and around my under eyes. I realised that these were the areas I always skipped when I applied my sunscreen. This prompted me to invest in some sunscreen for my lips. I popped into TK Maxx and purchased this lovely Tropical Flavoured Malibu Lip Care with SPF 30. It feels so moisturising on the lips and it can be worn on its own and under a lipstick which is good to know. It smells and tastes delicious and it also comes in other flavours. It is also water-resistant so it is perfect for holidays. 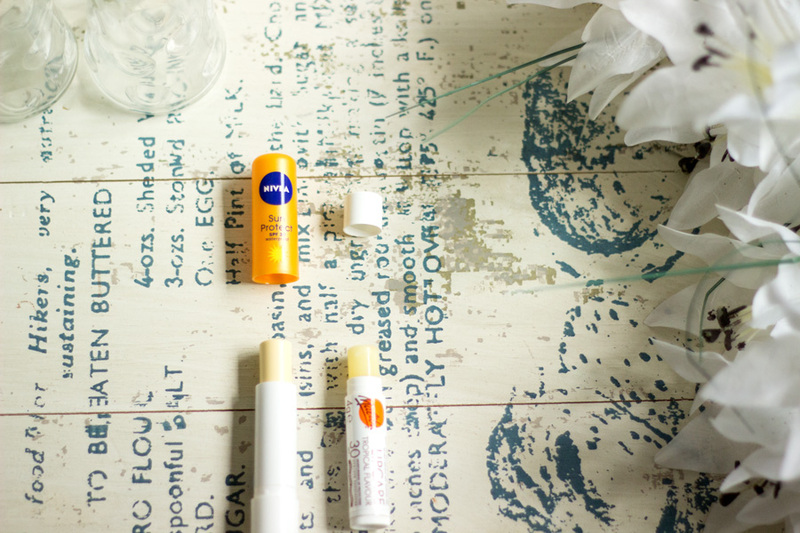 I really enjoy using this lip balm and it’s now a staple in my skin care. I also purchased a Nivea Sun Protection Lip Balm which also has SPF 30 however I am not a big fan of the texture per say. It is a good lip balm but I prefer my Tropical Malibu one over it.